On Sunday, November 25, The Weekly Checkup Atlanta is joined by Dr. Stanley Fineman of Atlanta Allergy & Asthma. 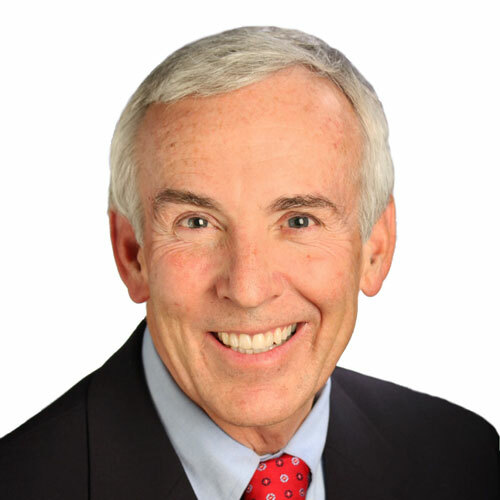 Dr. Stanley M. Fineman, M.D., M.B.A., has been in private allergy practice for 35 years. He earned his medical degree from Emory University School of Medicine and completed his internship and residency in Pediatrics at the University of Cincinnati. Following this he did his Allergy and Immunology fellowship at Harvard University School of Medicine in Boston. Dr. Fineman is board certified by the American Board of Allergy and Immunology and is participating in their Maintenance of Certification program. He is a Fellow in the American Academy of Allergy, Asthma and Immunology, the American College of Allergy, Asthma and Immunology and the American Academy of Pediatrics. Dr. Fineman received the Distinguished Fellow award from the American College of Allergy, Asthma and Immunology. He earned his MBA at Kennesaw State University. Dr Fineman is currently serving on the Boards of the World Allergy Organization and the Allergy & Asthma Network Mothers of Asthmatics. Dr. Fineman has served as president of the American College of Allergy, Asthma & Immunology, the Joint Council of Allergy, Asthma & Immunology, the Southeastern Allergy Association, the Allergy and Immunology Society of Georgia, the Cobb County Medical Society and the Cobb Area Pediatric Society. He has been a Governor for the Regional State and Local Societies of the American Academy of Allergy, Asthma and Immunology. He has been named ‘Professional of the Year’ in 1985 and 1996 by the American Lung Association of Georgia. He is cited as one of Atlanta’s top allergists in Atlanta Magazine’s “Top Doctors” and is also listed in “Best Doctors” in Georgia. Dr. Fineman has a teaching appointment as Adjunct Associate Professor Department of Pediatrics, Allergy division, Emory University School of Medicine. He has authored over forty scientific papers and has written several book chapters on various topics in the field of Allergy and Immunology. He is a contributing editor for the publication Allergy Watch and serves on the editorial boards of the medical journals Annals of Allergy, Asthma & Immunology, and Allergy & Asthma Proceedings. Dr. Fineman is a frequent lecturer at regional, national and international medical meetings. Dr. Fineman lives in Marietta with his wife, Judy. They have three children and six young grandsons that keep them busy. He also enjoys golf, skiing, drums and jogging. His most memorable athletic achievements were the successful completion of the New York, Boston, Chicago & Atlanta marathons. Dr. Fineman sees patients at Atlanta Allergy & Asthma’s Kennestone and East Cobb locations.